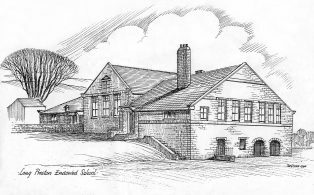 Drawing of Long Preston School by Ted Gower 1994 – text on the reverse: With the Compliments of the children and Staff of Long Preston School. 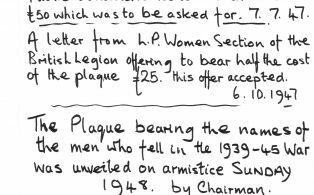 (Possibly as a gift to Robert Slater). Postcard photograph. 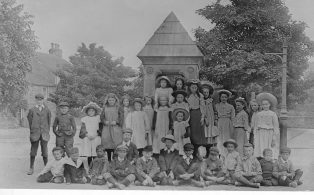 Text on reverse identifies the children as a ‘Long Preston School Group c.1904’. 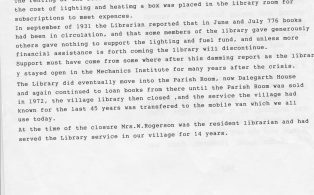 Part of the Robert Slater Collection. 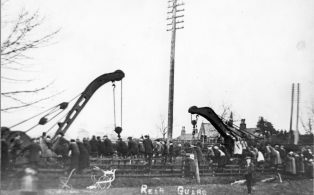 Derailment at Long Preston Cattle Dock and Hospital Bridge c. 1918 Midland Railway Company. 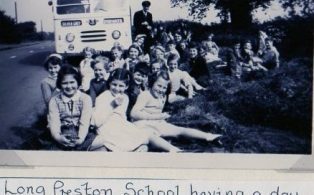 Names of school pupils in the top left photograph of the group of five are:- M. Bradley, L. Robertshaw, M. Robinson, M. Parker, J. Walker, A. Clark, S. Shepherd. S. Woolerton, D. Ward, D.J. Robinson, D. Procter, M. Kayley, D. Kinder, B. Glossop, H. Cryer. 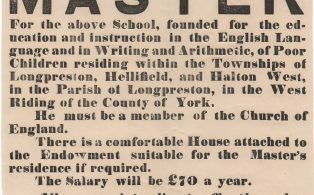 Hard Copy only held in Long Preston Village Hall. 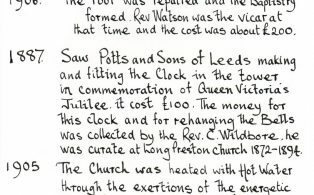 The first Organ in the Church was placed there in 1804 and cost 60 guineas. It was powered by turning a handle. 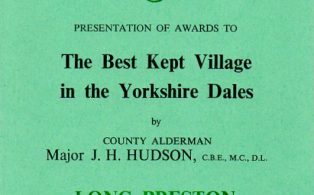 It was played by Thomas Atkinson, the village Blacksmith. Some years later, a small manual organ was placed in the West Gallery. Hard copy only available.